Flags on campus are lowered for Professor Emeritus Norman Macintosh. TORONTO, May 18, 2011 – An awards program for Ontario charities is raising the bar for annual reporting in the not-for-profit sector. Now entering its fourth year, the Voluntary Sector Reporting Awards (VSRAs) have helped more than 100 charities improve the way they report to donors, funders, stakeholders and the public. As they approach their convocation, 63 members of the Queen’s School of Business (QSB) full-time MBA program vowed to use the knowledge and skills they obtained at QSB to lead with integrity in consideration of the greater good by pledging the Queen’s MBA Oath. 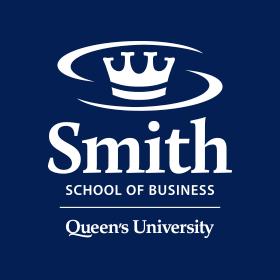 KINGSTON, ON – May 10, 2011 – Queen’s School of Business will be hosting a conference on “Moral & Ethical Issues in Consumer Decision Making” on Friday, May 20th. KINGSTON, ON, May 4, 2011 – The Institute of Chartered Accountants of Ontario (ICAO) today announced its renewed financial support for Queen’s School of Business.